Game of Thrones Season 8 Episode 2 Trailer Out: Will Jon Snow Reveal to Daenerys That They Are Related by Blood? 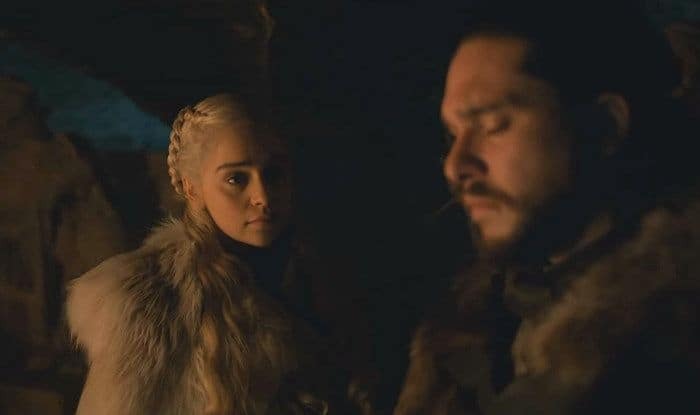 The glimpse into the Game of Thrones Season 8 Episode 2 shows Daenerys approaching Jon Snow in the Winterfell crypts, hinting at the intense conversation between them about their parentage. 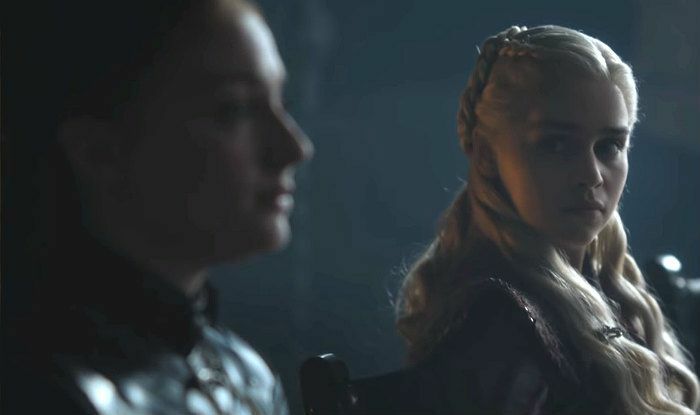 HBO has dropped the teaser of the episode second of Game of Thrones Season 8. After the first episode opened gates for more mystery, bloodshed and everyone eyeing the Battle of Winterfell, the trailer of the next episode gives glimpses of its characters witnessing the ongoing tensions at the Winterfell. It begins with Daenerys confronting Jaime about the murder of their father. She says, “When I was a child, my brother would tell me a bedtime story about the man who murdered our father,” adding “And all the things we would do to that man.” Jamie has just arrived in the Winterfell and has never been shown interacting with Daenerys. The two, however, were shown at the same place when Jon Snow presented the wight to Cersei in the final episode of Game of Thrones Season 7. Arya Stark comes into the picture as the preparation for the battle goes on. She says, “Death. It’s got many faces. I look forward to seeing this one.” A quick glimpse of Daenerys approaching Jon Snow in the Winterfell crypts comes in the teaser and one wonders if it’s the moment when Jon would finally reveal to her that they are related by blood. A shot of him looking terrified emerges in between and then he is finally seen asking Tormund, “How long do we have?” The man answers, “Before the sun comes up tomorrow.” A quick glimpse of Missandei and Grey Worm sharing a passionate kiss is added and then the video moves on to show Tyrion looking out from the Winterfell parapet. The trailer of episode 2 hints at the panic-situation at the Winterfell as the characters also seem deeply engrossed in sorting out their rivalry while focussing on preparing to fight the Army of the Dead. The battle will be showcased in episode 3 of the season, which is also going to be the longest one with one hour 22 minutes of air-time. Watch out!